Born in 1971 in Jordan, Rafik Mazjoub is an Outsider Artist who landed on the Lebanese art scene like a tornado in the early 1990s and whose fame has largely gone beyond his city of adoption. Majzoub’s works are raw, direct and truthful, creating striking images that peer into the psyche of the human spirit. With disarming honesty, and a voice that is intimately his own, Rafik Majzoub brings us a life story that is frank, fearless and true. Rafik Majzoub: Memoirs of a Screw is a 5-part biographical documentary web series about the life and times of this accomplished Outsider Artist who migrated to the cultural hotbed of Beirut, Lebanon in 1991, and went on to forge a name for himself as one of the few iconic subcultural painters of his generation. What a life story, and what an art we are privileged to gaze upon here! Where professional artists forge their creations from a dialogue with art history, this self-taught artist is engaged in a monologue, taking us on a personal life journey. 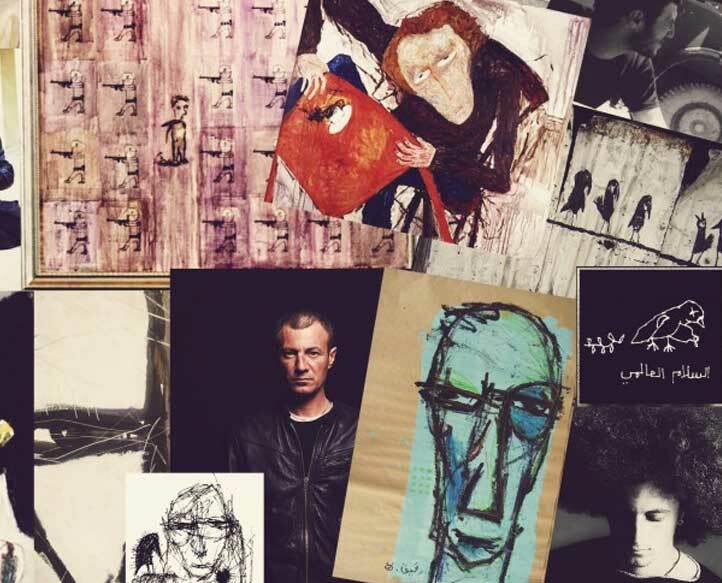 Born in Jordan 1971, growing up in a region engulfed in turmoil, and moving a city ruined by the ravages of war, little did the naïve 19 year old know that he will carve out an impressive artistic career spanning over two decades. Rafik’s raw artistic style and cult-like status can be compared to that of American contemporary artist Jean-Michel Basquiat. However, don’t mistake Rafik’s art as having come from another artist’s hand. His multifaceted, expressionistic approach to paintings and illustrations stand alone; a mirror expressing a unique frankness of vision with an unrestrained approach to illuminate the dark & murky corners of an embattled soul – not just of himself, but also, of a lost generation. He appropriates drawing and painting, marries text and images, abstraction and figuration, to comment on political power structures and absurd Lebanese cosmopolitanism. His fractured self-portraits are the soul’s window to deeper unknown truths of the human condition. Today, tucked away in Majzoub’s studio-home, we find a shadow of his former self, a ‘screw-like’ figure, just like the self-portrait hanging from behind looking down on his disheveled body. Buried in his chair, leaning over a sketchbook, there’s a cigarette in hand, an ashtray half-full and a wine bottle half-empty. It’s noon when Rafik is ready to talk. There is room for whit, charm, fear, self-loathing, and yet, just like his artwork, we feel his phobias, his rejections, his rebelliousness, his renunciation. The five carefully arranged scenes of six minutes each, are deeply personal tales capturing the lifelong journey of the artist’s relationship with his art, his internal self, the wider public, and with ourselves and our context. My intent is to craft a digital representation of an artist by investigating new forms of web-based narrative genre and artistic experience beyond the parameters of the established film and art world. Experimenting new ways of interactivity hints at a possible cohesive future for traditional fine art, film-making, and exhibition in the digital era. The result is a biographical documentary and retrospective re-imagined for the web. A series of short films drives the online experience, giving the story a narrative arc. The visual field is open to audience investigation and intended to evoke a chapter in Rafik’s life story. 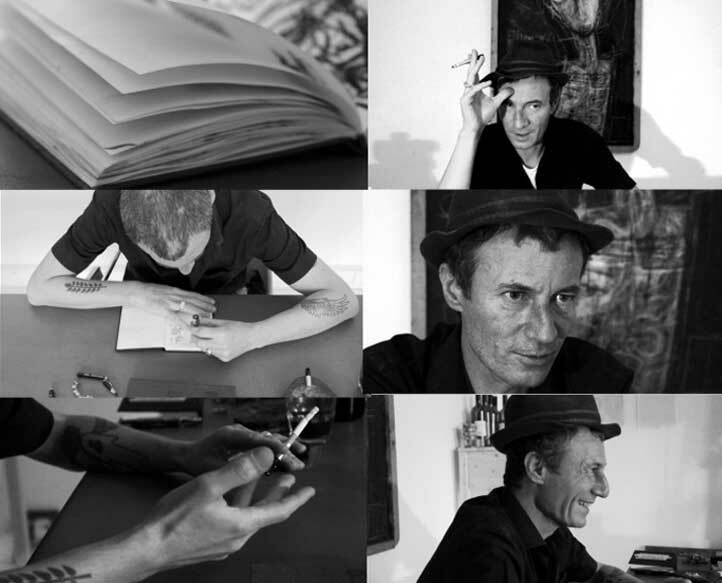 His narration comes to life by drawing on film, photography, animation, and critical essays, all brought together to represent the truth behind the art, history and culture of Rafik’s world.